The corporate or organizational newsletter can be one of the best communication strategies to stay in contact with your audience. Whether that audience is a customer, potential prospect or an organizational member, the newsletter has the capability to provide both vital information and to sell goods and services. At Outside Connections, LLC we have long recognized the importance of using newsletters as part of our PR initiative when working with clients. It can serve as a great branding tool with unlimited design possibilities presenting the true personality of the client. 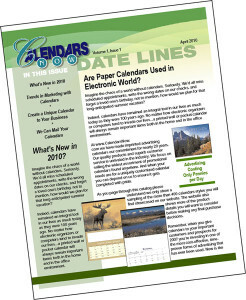 Furthermore, newsletters can be developed in both print and electronic formats for unrestricted versatility during distribution. Generally we follow the 80/20 rule when developing newsletters in the belief it should primarily be a device providing benefit to the reader. While this benefit may come through entrainment or information, the goal is to engage the reader with this valuable content. Thus, 80% of the newsletter focuses on matters enlightening to the reader with only 20% pitching memberships, products, etc. If you’ve determined the time is right to begin a newsletter campaign give us a chance to design and print it for you. Contact us today for a free, no-obligation consultation to get your word out with a style guaranteed to make you proud.